Home» Dr. Jeffrey Fudin Posts » What is worse, the Opioid Epidemic or the Stupidity Epidemic? What is worse, the Opioid Epidemic or the Stupidity Epidemic? The Stupidity Epidemic has caused more suicides because of inappropriate pain management than prescription opioid deaths, even from illegitimate patients and illegitimate medical care. If that figure doesn’t put this epidemic into perspective, I don’t know what will. Allowing chronic pain patients to suffer because of stereotypes, insurance denials, discrimination, and a fundamental lack of understanding of the complexities of pain is just plain ignorant, inhumane, and anti-American. Chronic pain is torture and it terrorizes the patient’s brain. That condition is called central sensitization. These insurance companies have denied safer molecules in favor of highly addictive molecules like oxycodone and fentanyl. They have also denied more stable extended release and abuse deterrent technologies. They have also denied appropriate and safer treatments such as Interventional Pain Management options. Now seriously, if the government wants to do something to improve safety, they will make the insurance companies pay for more expensive drugs if it can save lives including branded forms of buprenorphine and abuse deterrent opioids. In the scenario above, buprenorphine in the form of Butrans is unquestionably the better choice. One patch lasts seven days, the prescribed dose is miniscule, buprenorphine has a ceiling effect on CO2 accumulation, and at low doses, if effective, it can afford better analgesia than a full opioid agonist. That’s not to say that buprenorphine will work for everyone, especially not at such a low dose, but in this case? My God, the insurance company should be hung out to dry, as fentanyl is clearly more dangerous!!! Dr. Joshi criticizes certain drugs. For example, he mentions oxycodone, particularly OxyContin, several times as seemingly disproportionately unsafe compared to other opioids (more on this below). I do admire Dr. Joshi’s account of the stupidly for which he calls out anti-opioid zealots regarding Zohydro ER in his statement, “Before this medication was released on the market in 2014, multiple physicians and media outlets said that it would cause more deaths than heroin and other opiates. 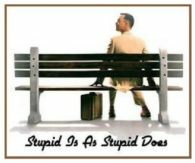 Even some of the major pain societies chastised it.” This was covered several times on paindr.com blogs, and summarized nicely in Stupid is as Stupid Does. Thank you Dr. Joshi – we are in sync here for certain! We sure do agree that carisoprodol is a disaster and very addictive compared to other muscle relaxants. In fact, I have blogged about this several times, notably Beware of the “Holy Trinity” and The Perfect Storm: Opioid Risks and “The Holy Trinity”. I don’t believe though that alprazolam is better or worse than any other benzodiazepine when used in combination with opioids – all benzodiazepines increase the toxicity of opioids. And regarding zolpidem, well that is another issue, but suffice it to say, although it is not a benzodiazepine, it does certainly carry the same or maybe even elevated risks when combined with opioids. While there is some data that oxycodone is more desirable than hydrocodone1-3, there is limited scientific evidence to prove that oxycodone is actually more addicting compared to other full opioid agonists. For certain oxycodone and other opioid desirability is affected by genetic predisposition to addiction alone and also to genetic phenotype with regard to cytochrome metabolism and OPMR1 expression (both complex topics for another day). In fact, I’ll take this a step further, as outlined in paindr.com blog Is LA Times an OXY-Moron. In that post, I point out that various “anti-opioid zealots in the lay press, some propagandists, and politicians who persistently call OxyContin ‘synthetic heroin’ are misinformed. Dr. Joshi is certainly not one of those anti-opioid zealots, as he agrees that patients in need of opioids are being denied adequate care. But the lay press is an altogether different animal. The truth is that the opioid antidote naloxone is almost identical to oxymorphone in chemical structure – now there’s a case of one being a synthetic derivative of the other as seen in Breaking Bad 2.0: Is it possible to synthesize Oxycodone from Naloxone?. But interestingly, when looking at overall risk for opioid-induced respiratory depression, it is also clear that taking benzodiazepines or antidepressants with opioids carry a higher risk than morphine daily equivalents doses above 100mg per day, something that many anti-opioid zealots, politicians, insurance companies, and PROPagandists hang their hat on far too often. In closing, while Dr. Joshi and I do have some differences in our overall approach and outlook, we sure do agree that Stupidity Epidemic trumps the Opioid Epidemic in terms of idiocy. Many thanks for you original post, What is worse, the Opioid Epidemic or the Stupidity Epidemic?. Zedler B, Saunders W, Joyce A, Vick C, Murrelle L. Validation of a screening risk index for serious prescription opioid-induced respiratory depression or overdose in a U.S. commercial health plan claims database. Pain Medicine. 2017; In press. Wightman R, Perrone J, Portelli P, Nelson L. Oral oxycodone has an elevated abuse liability profile compared to oral morphine and hydrocodone. Journal of Medical Toxicology December 2012, Volume 8, Issue 4, pp 335-340. IMS Institute for Healthcare Informatics (2011) The use of medicines in the United States: review of 2010. pp 1–37. Eisenberg E, Suzan E, Pud D. Opioid-induced hyperalgesia (OIH): A real clinical problem or just an experimental phenomenon?. Journal of pain and symptom management. 2015 Mar 31;49(3):632-6. Thank you and I wish the alphabet agencies would read this but they fall under the stupidity empideimc!!! when i queried the two nice gentlemen from the veterans administration as to what to do, they stated, “even though it’s usually not helpful, try acupuncture.” Fine, when our patients can’t get out of bed or go to work, or become suicidal or depressed, i’ll tell them to stick a needle in their ear. well, more answers will come soon. During the presentation from the representatives of the veterans administration at the international conference of opioids, they published their new guidelines. Opioids are no longer indicated for the treatment of chronic pain. They said “don’t worry, they are only guidelines.” Well we all know, guidelines become standards and standards become policy. Soon, insurance companies may deny any pain medication after 3 months, because the representatives of the federal government state they are not effective. If they don’t want to give their IED damaged, paraplegic,, amputated and mangled veterans opioids, how can we fight insurance companies (who don’t want pay for chronic medication) to help our chronic pain patients. Doctors who prescribe pain medication for more than 3 months may now have the department of defense guidelines working against them during malpractice cases. God knows if you have an overdose death with your name on the bottle, it’s nice to know the a.g. has the dod guidelines to help convict you of negligent homicide.